The devil's been chilling on your shoulder for a while now. It's been an alright place to hang out but it's starting to get old, especially since his annoying neighbor is really getting on his nerves. (The devil's not getting along with the angel who hovers on your other shoulder. Go figure.) Also, constantly staring at the same scenery, your left ear and surrounding strands of hair, doesn't exactly excite Satan either which exactly why he's decided to take up residence in a different location: your feet! 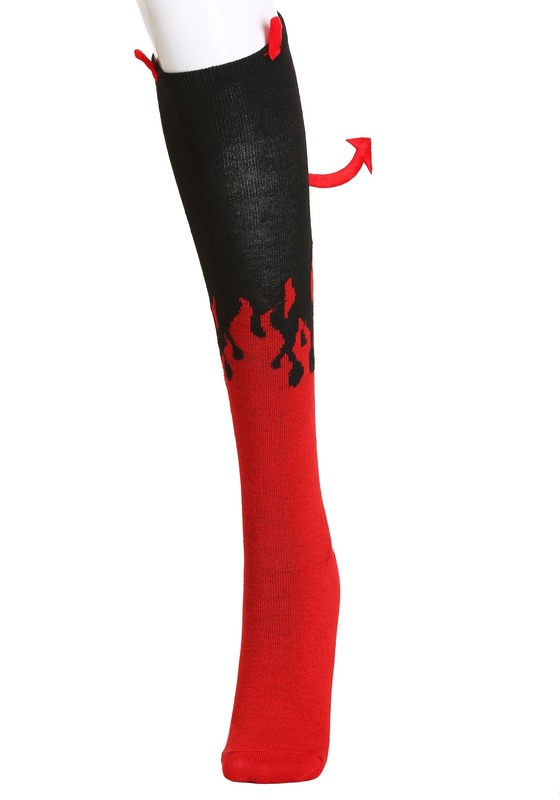 The women's devil knee high socks are made from a poly/spandex blend to ensure they're stretchy, comfortable and soft. Red flames are featured on the bottom, contrasting against the black upper half. Small plush horns and a tail are attached to the socks, putting the final touches on your devilish feet. 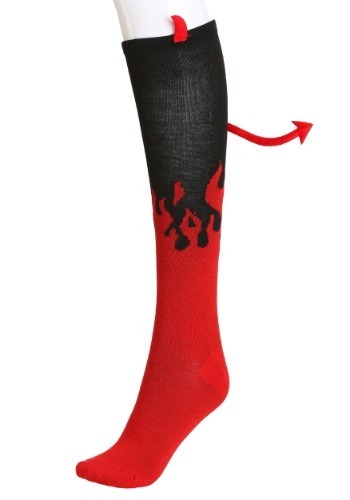 Here's some advice: pair them with any devil costume to add a hint of fiendish flare to your look.